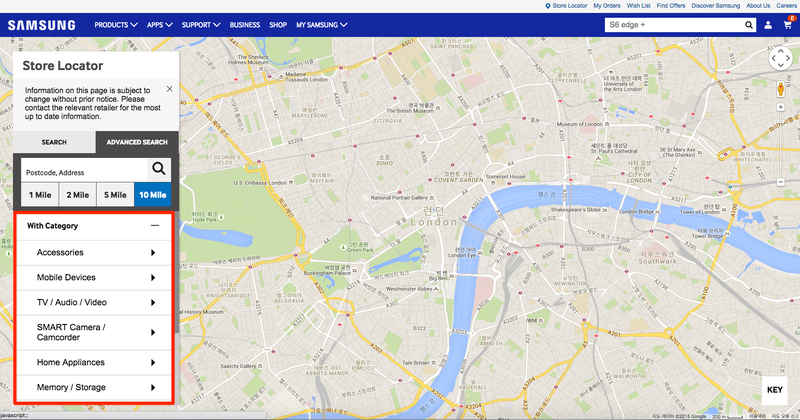 Samsung website (www.samsung.com) uses Google Maps API to provide “Store Locator” browsing service. By using “Store Locator”, customers are able to search preferred retail store. To go to the “Store Locator” page, customers can click on the “Store Locator” link at the top right of the homepage. By entering customers’ address, the map will shows the closest retail stores’ locations as below. 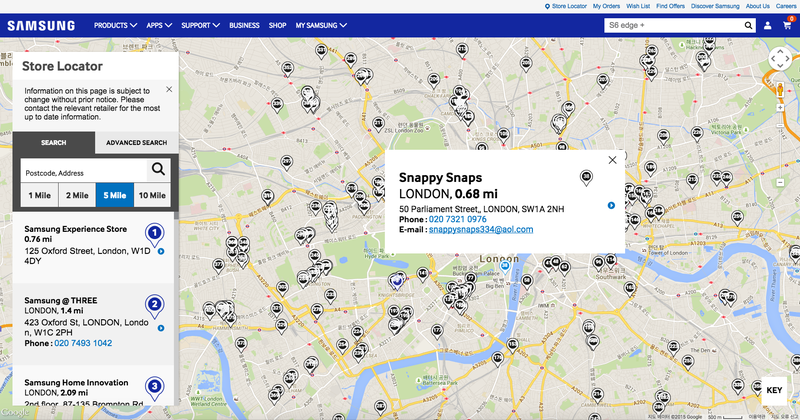 Customers can also click on the icon on the map itself to view each store details. Also, advanced searching filter with category is available too. By using category filter, customers can get to their desired retail store easily.